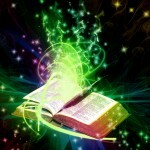 If the Bible doesn’t teach the doctrine of the Inspiration of Scripture, where does that leave us regarding the Bible? Is it just a “man-made book” after all? Is it full of errors? Is it in any way authoritative for our lives? Can we trust it to accurately teach us about God and ourselves? What sort of book is it? How can we use it? What is it good for? It is to these questions we now turn in the next several posts. God Said It. I Believe It. That Settles It? Aside from being illogical (it confuses their “understanding the Bible” with “the Bible” itself), this is a terribly dangerous way of reading the Bible and reveals a vast ignorance of what kind of book the Bible is. Often, when you run into someone like this, if you disagree with them, they accuse you of disagreeing with God. And when you try to explain that you are not disagree with God, but that you just understand the Bible differently, then they start accusing you of not believing in inspiration, or not believing the Bible is inerrant, or any number of things which completely miss the entire point. Over the years, as I have tried to discern where this mentality comes from, I always end up at the doctrine of the Inspiration of Scripture. The way it is often taught and believed seems to limit the breath of God within Scripture, and puts Scripture up on a pedestal where God never intended it to be placed. The doctrine of Inspiration creates a whole mass of people who think the words themselves are God’s Word, and so simply by quoting a verse, they are speaking the words of God, even if they don’t have a clue what the words mean. The doctrine of Inspiration makes the Bible a book of magical incantations, to be flung out whenever “the devil” comes around, or when our spouse, boss, or neighbor simply does something we don’t like. We feel like if we can quote a verse from “God’s Holy Word” then everything will be fine. Such an idea is often supported by how Jesus seemed to use Scripture while being tempted by the devil in the desert (Matt 4:1-11; Luke 4:1-13). 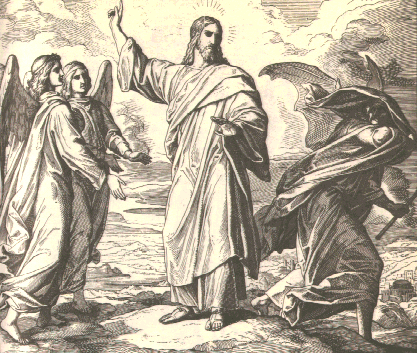 Satan tempts Jesus. Jesus quotes a verse. Satan flees. Easy, right? Too bad it doesn’t work that way. I think Satan loves it when we quote verses at him. Why? Because he loves to quote verses right back. You think memorizing and quoting verses will defeat the devil? I’m convinced he can quote the entire Bible. Can you beat that? The doctrine of the Inspiration of Scripture has led many to believe that there is power in the Word. But there isn’t. 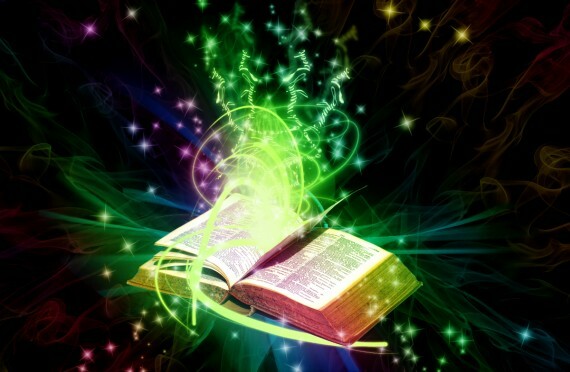 It is not a book of magical words. It is not a book of secret power. It is not a book by which the full might and power of God is placed at our disposal. It is not a book where the ability to quote a few verses will help you defeat all temptations, persevere under every trial, and break down every stronghold. Yes, Jesus quoted verses at the devil. And yes, the devil quoted verses right back. How did Jesus win this battle of Bible verses? Because the devil did what most of us do — He quoted verses out of context. But Jesus used the Bible properly. Jesus knew what the passages meant, knew their historical, cultural, and situational context, and knew how to apply these verses to the current crisis He was facing (See the Commentary on Luke 4:1-13 for more). This was no shotgun approach, where He starts madly quoting Scripture, hoping one will “hit.” No, with surgical precision which came from a lifetime of study and meditation upon the Word of God, Jesus was able to use Scripture properly, in the way God intended. Does this mean we should all retreat to our Ivory tower to spend numerous hours per week studying Scripture? No. Be careful here. The Ivory Tower often turns out to be The Dark Tower, full of evil, corruption, and greed. Jesus knew the Scriptures, but He did not learn them by spending years locked away in His study, even though that was the “popular method” of His day. We will look tomorrow at the popular Jewish method of studying Scripture and what Jesus had to say about it. You must know some of the people I used to know! (Especially the people you’re writing about in your “God said It…” section.) What I find especially tedious about these folks it that they are unwilling to even listen to or read anything that does not completely agree with what they have decided the Bible “says”. Reminds me of the three monkeys with their hands over their eyes, ears and mouths. Even though you gave definitions of inspiration at the beginning of this series, in reading the comments I think not everyone is defining the word quite the same. Even though some claim not to believe the dictation theory, perhaps they really do. 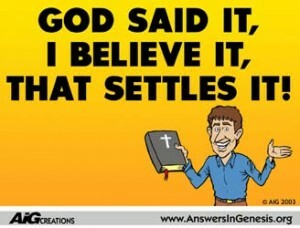 The Bible is word for word “breathed” from the mouth of God, with no mistakes and I understand exactly what it says. That’s why everyone who reads it agrees, right? For some who read the Bible, it is not the words of God. It is such only when God uses the words we find there to speak to us. Talk to anyone who read parts of the Bible before they followed Jesus. Most of those I know tell me that the main thing they found in The Bible is stuff that Jesus told people to do, but “Christians” weren’t doing. Not until they decided to follow Jesus did those words speak to them, or we might say not until then did God use those words to speak into their lives. A long series like this is probably not the best way to use a blog, since readers come and go, and miss a post or two, and since the argument builds from post-to-post, if someone is just jumping in or misses a few post, they won’t understand the flow of thought that brought us here. In your last paragraph, it sounds like maybe you are referring to Karl Barth’s view of Scripture. I have not read much on this. Have you? Not only is the Bible not a magic book, it’s not an owner’s manual, a self-help book, a trouble-shooting guide, a blueprint, or a rule book. It’s a story, in fact, it’s a love story. It’s the story of a God who loved enough to create, redeem, and restore in the face of fierce opposition. More than that, the Bible is a character study of God. In the big picture, the Bible reveals this God. But sadly, so many get caught up in trying to prove their own views, or nitpicking minor details, or fix their own problems that they miss the greater picture the Bible paints. Ironic isn’t it, that our doctrines can cloud rather than clear our understanding of God. Good job on this series. Keep on. Thanks Bob. Yes, the big picture is so important (and so neglected). Doctrine definitely can get in the way of God. Is this a growing trend? With my schedule recently, I have not had time to read much elsewhere. this reminded me of this one time I told a woman the King James Version wasn’t inspired. “WHAT DO YOU MEAN IT’S NOT INSPIRED?! IT’S SCRIPTURE!!”. you cannot reason with fundies. they know it all and have no questions. and if they do… the paaarrrsta will hold the key!